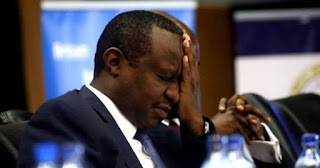 Thursday August 16, 2018 - A vocal Jubilee Party MP has prepared a motion to impeach Treasury Cabinet Secretary, Henry Rotich. In the motion registered with the Clerk on Wednesday, Kimililu MP, Didmus Baraza, accuses Rotich of poor implementation of the law capping interests which became operational in September 2016. The MP also accuses Rotich of over borrowing, which he terms as unmatched and has crippled the economy. “This appetite for commercial debt has created pressure on the Government’s liquidity and therefore ability to repay arising liabilities,” he said.